Mixing is an art just like arrangement, and Mastering is the final effort to make the singer, song writer, arranger or producer's dream come true. 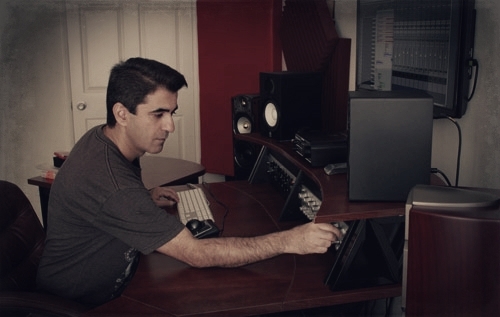 Mehrzad started composing and arranging for different bands and singers in 1993. In 2003 he started recording/mixing/mastering as part of a full music production Career. Before moving to Los Angeles he had the opportunity to work with many great artists as a composer/arranger/engineer. In 2007 he started working as an assistant recording engineer at Clear Lake Audio in North Hollywood CA as he earned his certificate in recording arts. After a couple of years he started his own personal mixing/mastering studio in LA and has been working with different artists and companies. Also working as a mastering engineer on huge +1000 production music projects with a vast genre spectrum from Classical to Hip-Hop and Electronica gives him the knowledge and experience of working on nearly all genres of todays music. "After dedicating many years of my life to composing and arranging, I started mixing and mastering 11 years ago. Having the knowledge of music and instruments, to me, mixing is an art just like arrangement, and mastering is the final effort to make the singer, song writer, arranger or producer's dream come true." These days almost all the stages after recording are done in the digital domain, although" a touch of analog in the mastering process can preserve the magic of your music ". Does your music sound weak, not punchy enough, or does it lack that clarity and spaciousness? Is it not as loud as your favorite commercial recordings? State of the art Analog Mastering equipment and the knowledge of using them alongside the digital software/hardware is the answer! Mastering is the final process before replication, a single musical piece sounds more spacious, more defined louder and punchier after mastering. After a good recording, one of the most important reasons that makes a mastered track sound great, is a good mix. These are a few samples of my clients' work that were either mixed & mastered or just mastered here. Pop, Rock, R&B, Hip Hop, Rap, Country, Reggae and Classical genres are demonstrated. 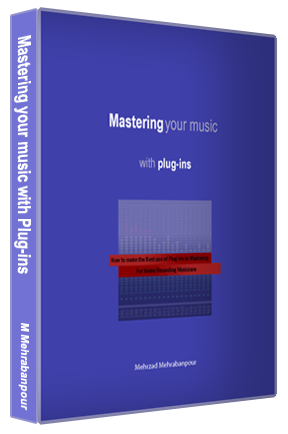 This E-book focuses on methods to make the best use of plug-ins for mastering and a number of very useful tips to achieve a punchier, fuller, more defined, more spacious master, something more than just loudness. Please feel free to ask a question or leave a detailed message about your mixing or mastering project to get a quote.